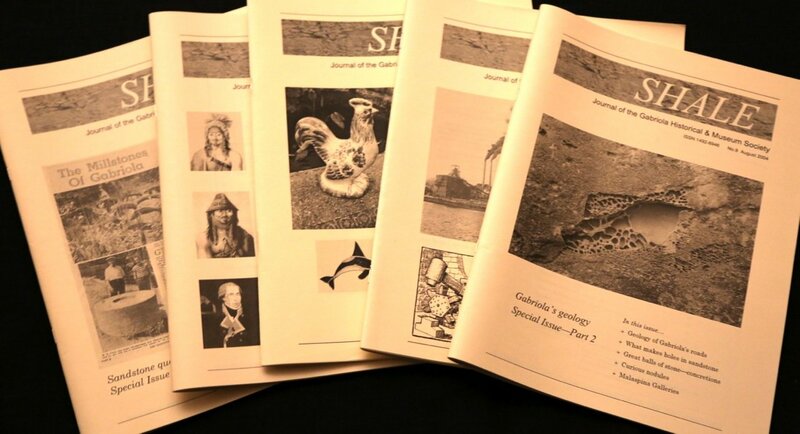 SHALE is a journal published by the Gabriola Historical and Museum Society. The journal features articles and stories, reviews, letters, and reports about the people, history, archaelology, geology, paleontology, natural history, cartography, and oceanography of Gabriola, Mudge, and De Courcy Islands, and the surrounding area of the Gulf of Georgia. You can buy some back issues of SHALE at the Museum Gift Shop. It is also for sale on Gabriola Island at Page’s Resort and Marina. Copies may be borrowed from the Gabriola Library. SHALE was published by the Gabriola Museum and Historical Society from November 2000 to 2014. Brief summaries of all the articles published to date are in SHALES’ back-issues web page. Here is a list of corrections courtesy of the editor, Nick Doe.